Alzheimer’s disease can completely transform the person you had known throughout your life. Not only will they become more forgetful, but they will also have problems communicating with you and others and have a drastic change in their personality. These changes will not only affect the elder, but will also impact their family and friends. After finding out that your loved one has been diagnosed with this disease, there are probably a number of questions and emotions you have. As their disease progresses, they will need 24 hour supervision from an elder care professional in order to help with the tasks that they are unable to do anymore. If your loved one has just been diagnosed with Alzheimer’s disease, here is some information you should know about the early stages and what to expect. 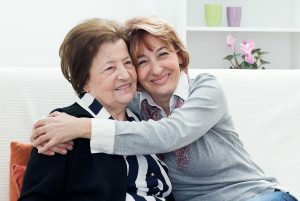 If you are helping with the care of your elderly parent, there are some things you need to know in order to help provide a safer environment for your loved one and an easier job for you. Help the elder when needed. If there are some tasks that could be dangerous if the elder were to do them alone, you will need to do it for them. However, if the task is not a hazardous one, then encourage the elder to do it by themselves. Relieve their stress. Try to remove as much stress from the senior’s life as possible. For example, if you know that a certain task will cause them to become stressed and frustrated, try to find an easier way to do it. For example, if the stressor is grocery shopping, have them help you come up with a weekly meal schedule and a list of ingredients that will be needed. Encourage the elder to do it. As the Alzheimer’s disease progresses, the senior will become less and less capable of accomplishing tasks that used to be so easy for them. Encourage them to do as many tasks as possible by themselves. If you are starting to sense some frustration, try to find out what the cause of their frustration is before stepping in to help. Have an honest conversation. Instead of assuming what tasks the elder needs help with, simply ask them. Let them tell you what has become too difficult for them to do or causes them stress. Once you have pinpointed what responsibilities are too difficult for the elder, you both can work together to come up with a plan. Caring for someone with Alzheimer’s disease can be a challenging role. With these tips, you will be able to prepare for what the future of this disease has in store for your loved one. If you or an aging loved one are considering elder care in Colts Neck, NJ, please contact the caring staff at Lares Home Care 1-800-781-7435 or 732-566-1112.